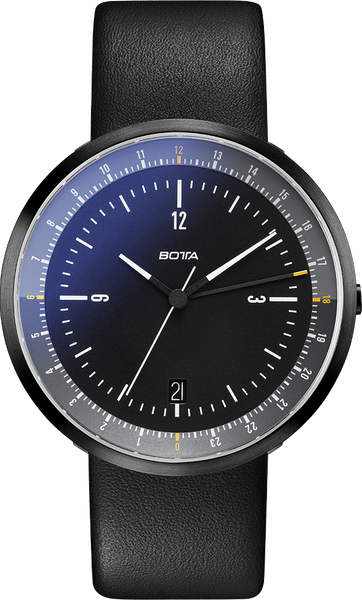 The PVD-coated stainless steel case of the Mondo Black Edition dual time zone watch from Botta-Design has been designed to look as flat and inconspicuous as possible. Thanks to the clever use of sloping edges, it appears to be merely a flat disc on the wearer’s wrist. 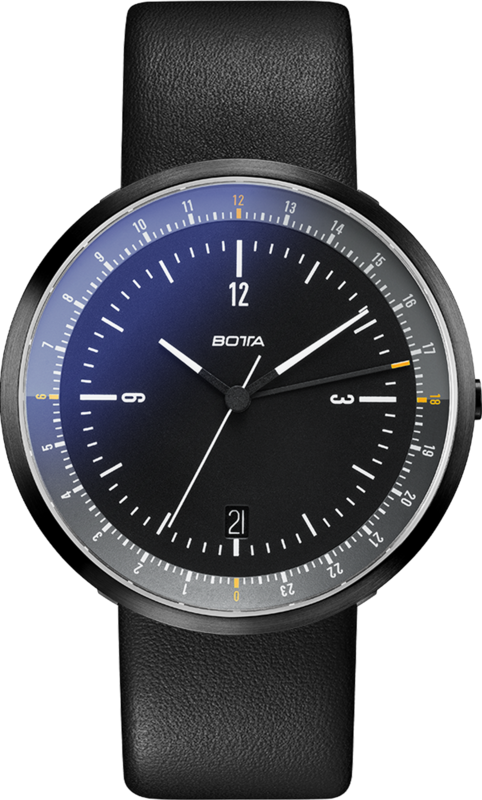 With its integrated lugs, the watchstrap is discreetly attached beneath the housing to save space. 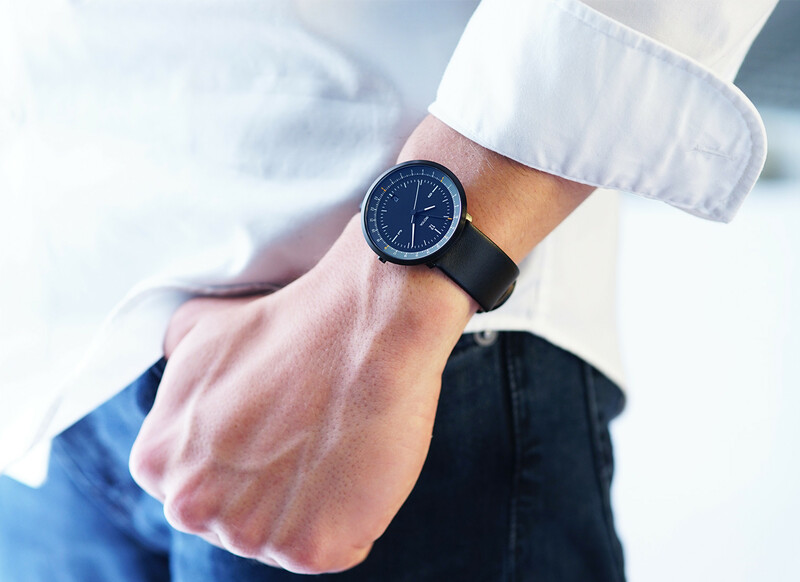 The entire watch case features an entirely functional design yet gives the impression of a sculpture that you will want to admire from every angle. 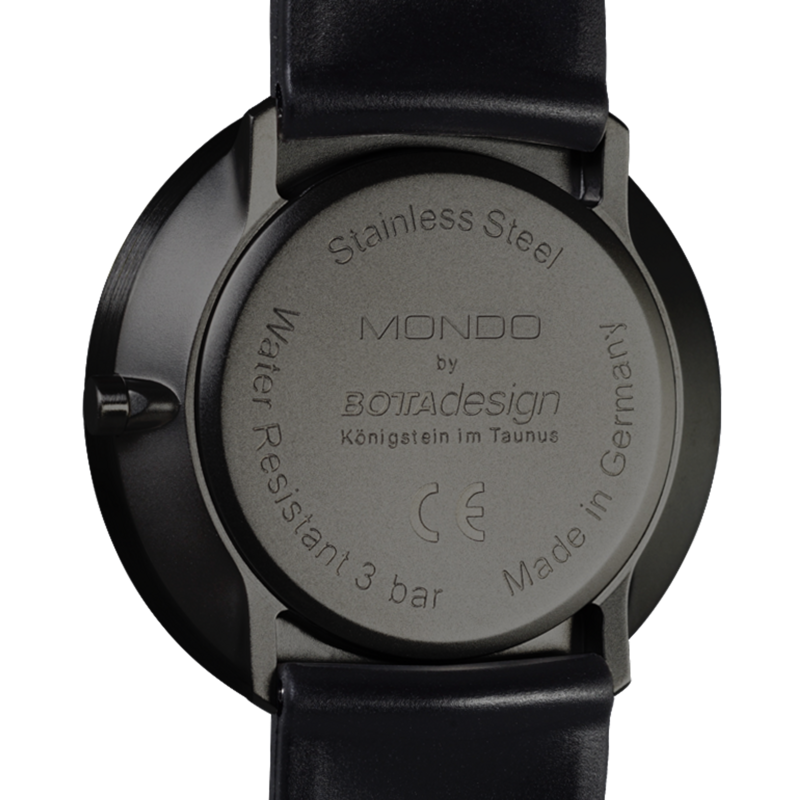 All Mondo models are fitted with flat sapphire glass. 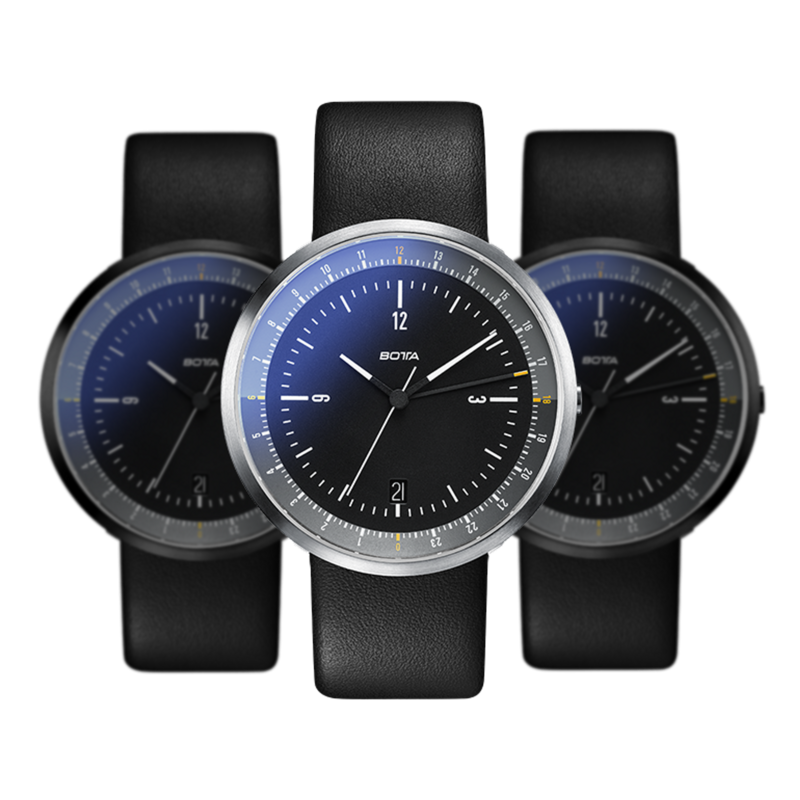 The MONDO Black Edition Quartz will be shipped 0. Until then, the model can be pre-ordered at a discount of € 220. Shipment will be on a first come, first served basis.